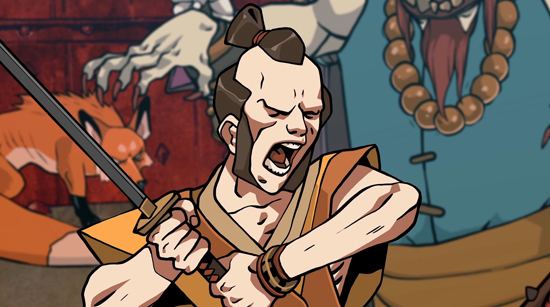 Samurai Riot is an addictive, 2D, side scrolling, beat’em up, that presents 2D arcade gameplay with original co-op features and a multi-branching, moral decision making, storyline leading to eight different endings. Take on the role of Sukane, an enigmatic Ninja who fights alongside with Azu, the fox - who can transform into weapons; or Tsurumaru, a loyal samurai with a katana and a bunch of grenades, and set off on an adventure in a hand-painted 2D universe between Japanese mythology and cyberpunk! Strong replay value: ~ 60hrs to unlock all the fighting schools and go through all the stories.